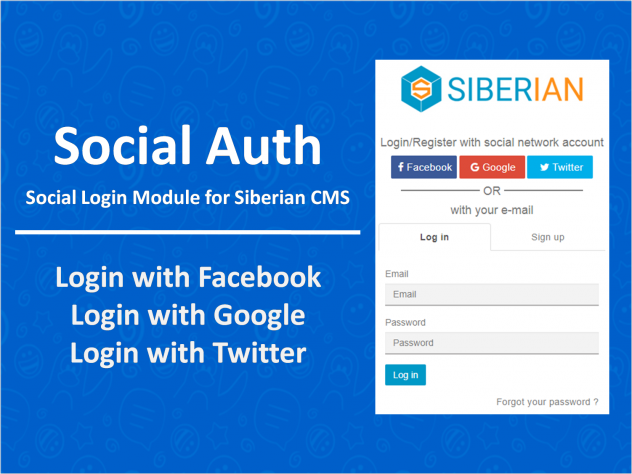 Social Authentication module allows your users to sign up or login on your Siberian Platform Edition using their existing social networking account such as Facebook, Google and Twitter. It is developed to simplify logins for end-users. Studies have shown that website registration forms are inefficient as many people provide false data, forget their login information for the site or simply decline to register in the first visit. A study says that many users favored social login as a means of authentication over more traditional online registration methods. Increase registrations: Many users being bothered by having to create new accounts on websites. Some of these users would rather leave your site than register, which means that providing Social Authentication (which is simple, easy and fast) to your site will increase the number of registrations to your site. Pre-validated email addresses: The social network provider is in charge of verifying the user’s email. So you will get a real email address rather than the fake addresses that some users typically use to register in your website. Eliminate the issue of forgotten password: Many users don’t remember passwords and will leave a site instead of resetting or recovering login info. Social Authentication eliminate this issue. How does Social Authentication works? 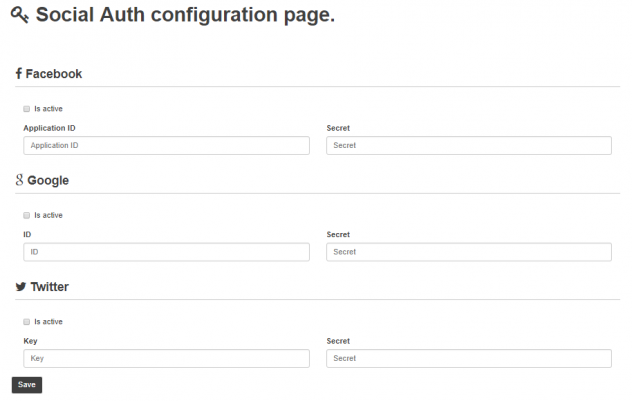 Social Authentication is a simple process, with the following steps. (1) The user enters to your Siberian CMS Platform and selects the desired social network provider (Facebook / Google /Twitter) on Login page. (2) A login request is send to the social network provider. (3) Once the social network provider confirms the user’s identity (i.e. 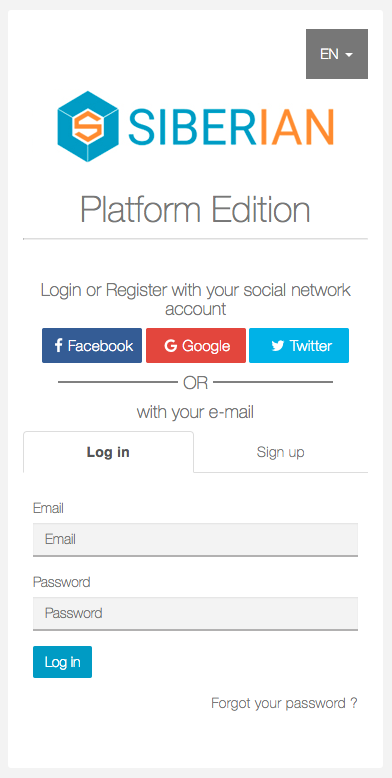 Name, E-mail) a current user will get access to your platform. A new user will be registered as a new user and then logged into your platform.